These Adams AZextra Scales are all you need to conform to current EU (??) - and UK retail legislation. Not only do these scales weigh - but they also compute the price of the goods for sale, and display the price per unit and total price. With over a 100 product memories, you can pre-programme prices for a full range of products to reduce operator errors. 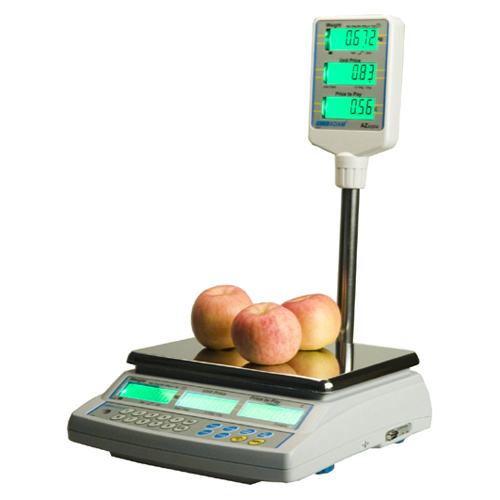 The low profile design, and 4 adjustable none slip feet, helps save counter space, and provides a stable platform for accurate weighing and pricing.